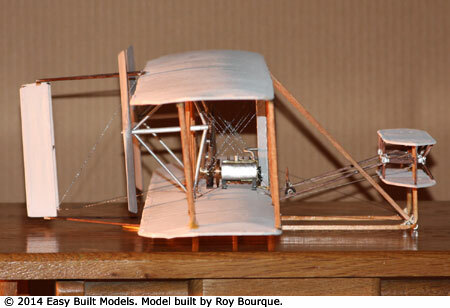 This 1:20 scale model kit of the first engine-powered flying machine to make a successful flight commemorates the dawn of powered flight. 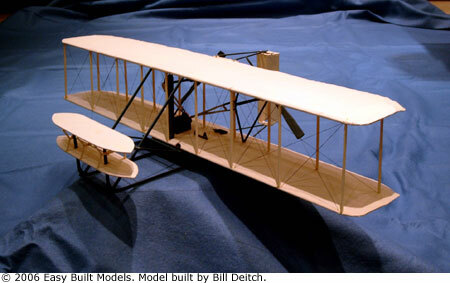 On December 17, 1903 Orville Wright launched the Wright Flyer I from a sand dune known as Big Kill Devil Hill near Kitty Hawk, North Carolina. 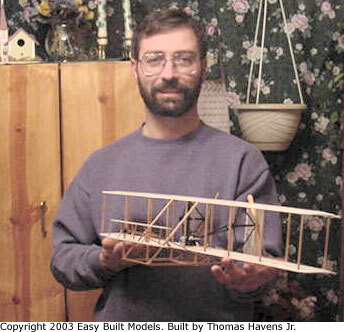 The flight lasted 12 seconds and a distance of 120 feet. 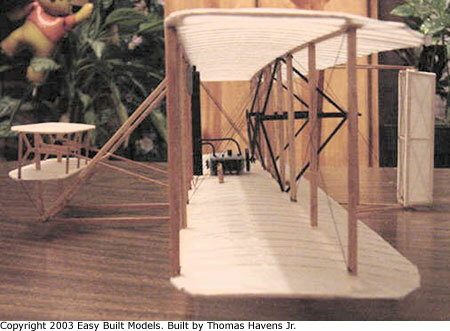 The Wright Flyer I was the culmination of years of research and testing during which brothers Orville and Wilbur Wright designed and built all the components of the Flyer including the propellers and engine. 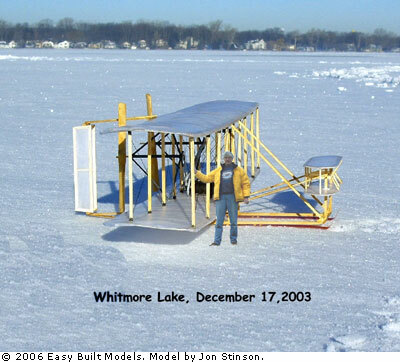 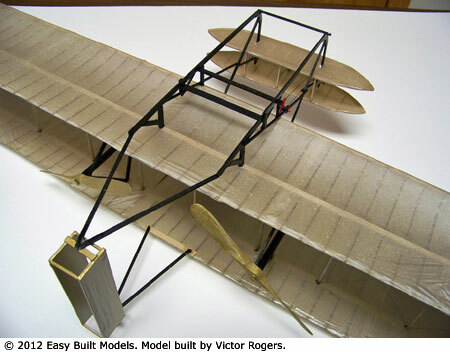 This LASER CUT kit is popular for school projects in both history and science since it is an accurate scale model of the original airplane which is on display in the Smithsonian Institution Museum of Air and Space. 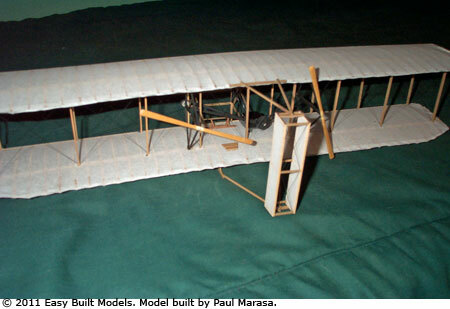 Includes complete step-by-step instruction booklet with 38 photographs to guide you through the building process. 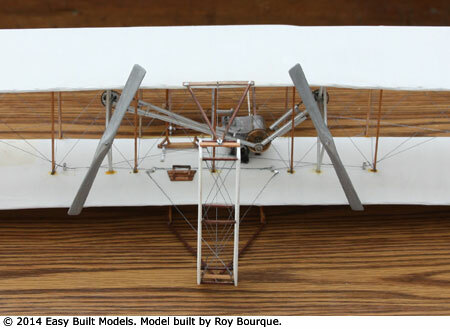 This kit contains a full-size plan, step-by-step instruction booklet, laser cut balsa parts, balsa strip wood, wire, thread, and Easy Built Lite tissue covering. 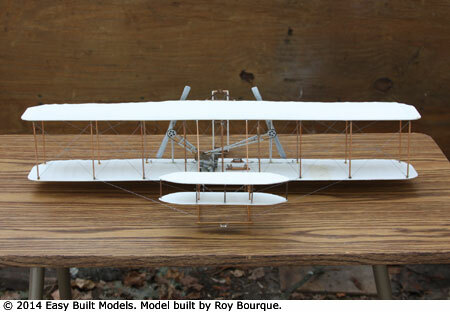 Also includes a laser cut pilot profile in the prone position, and laser cut engine assembly. 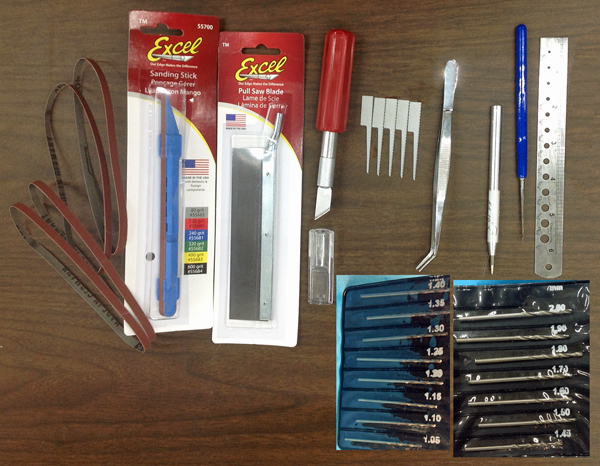 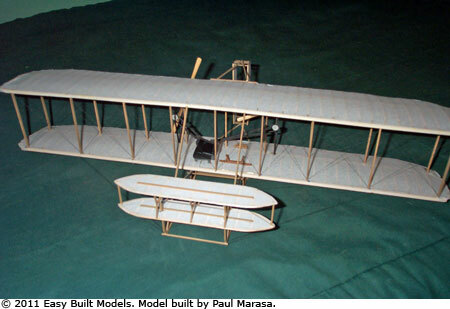 To build this kit you will need a building board, hobby knife, glue, thread, and fine sandpaper. 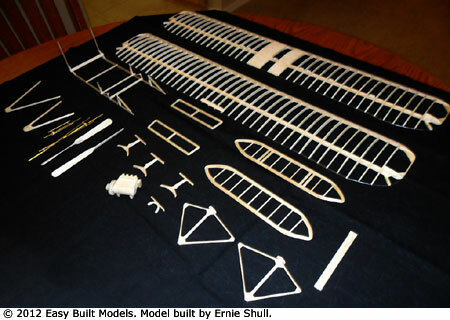 This kit is completely laser cut, saving hours of time cutting out parts. 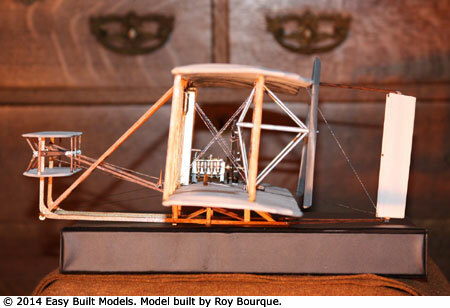 The builder determines the level of detail for this model and may need to supply additional materials. 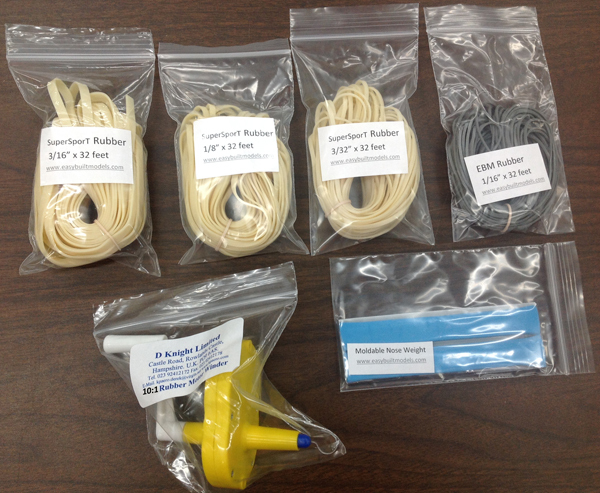 Your kit includes these instructions, but you can download and print or save a copy from the link above. 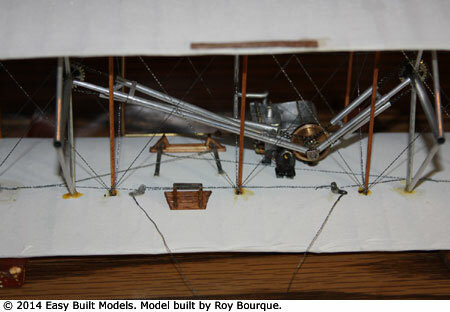 This newly completed model built by Brad Kyle shows off the laser cut pilot profile included with the kit. 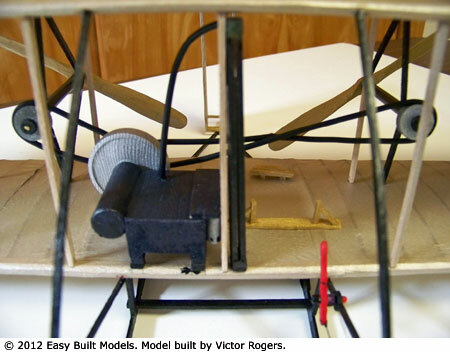 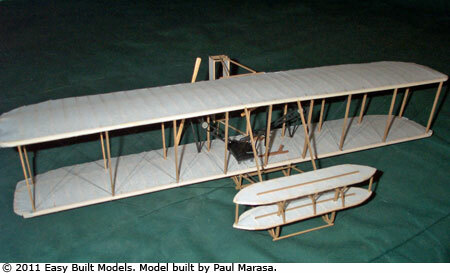 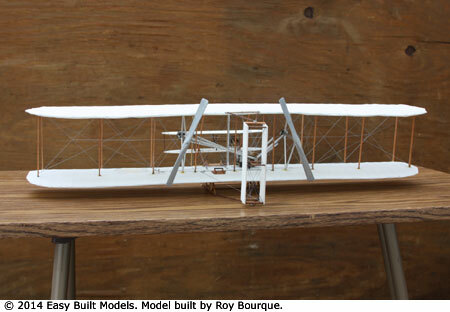 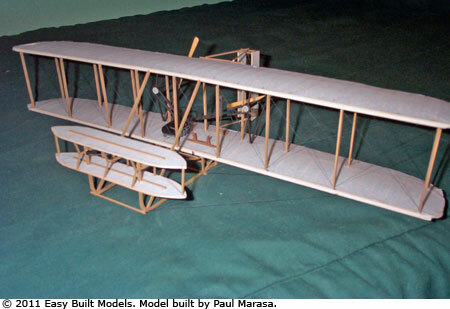 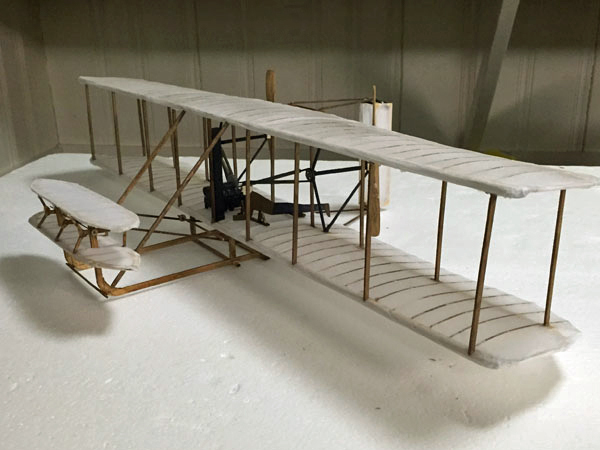 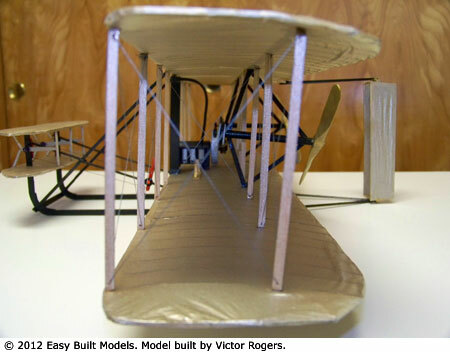 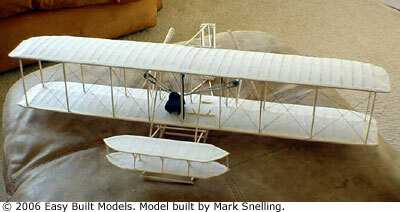 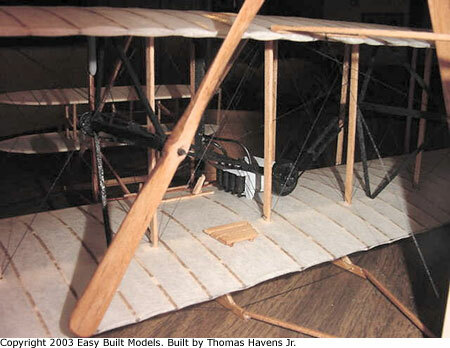 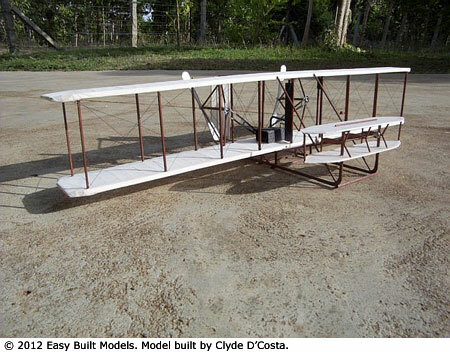 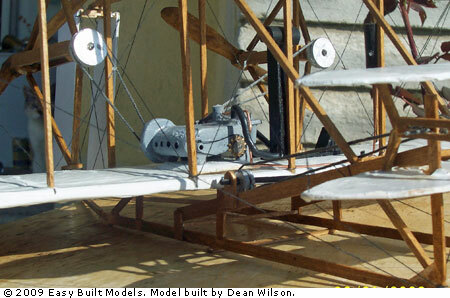 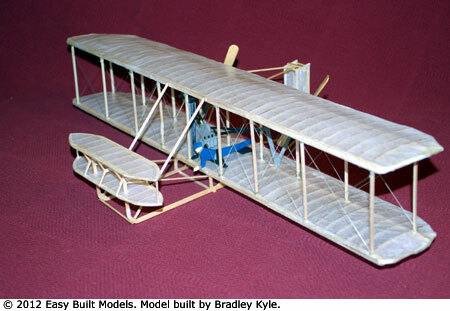 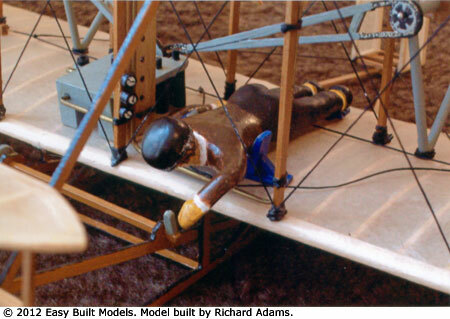 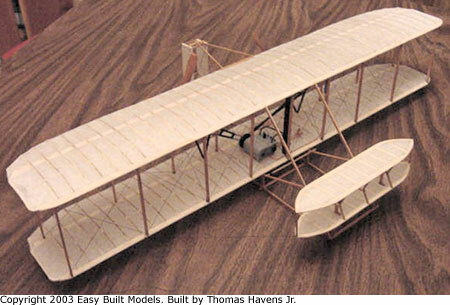 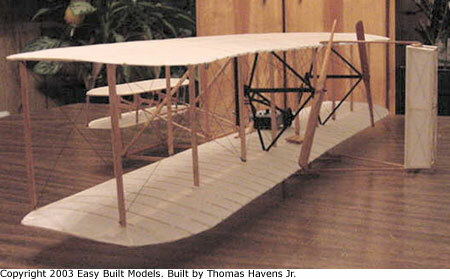 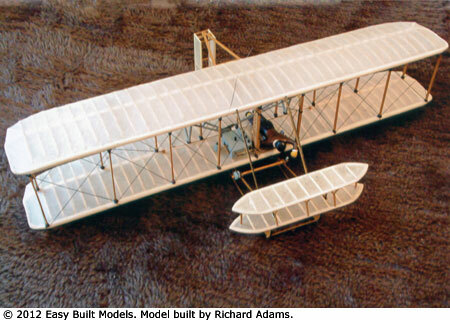 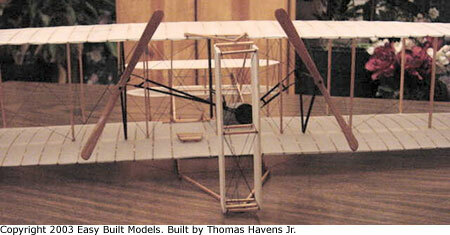 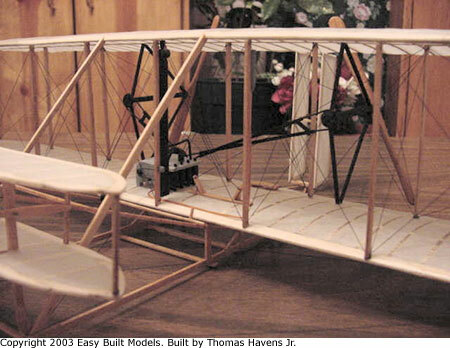 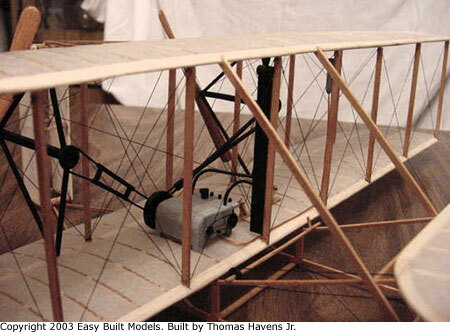 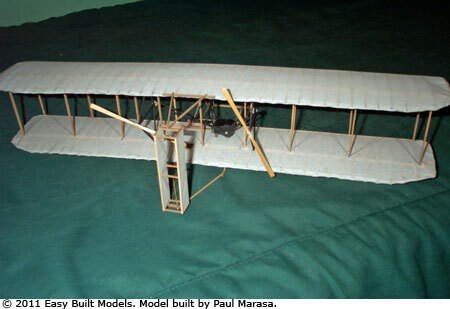 Richard Adams added many details to his Wright Flyer, including carving his own 3 dimensional pilot. 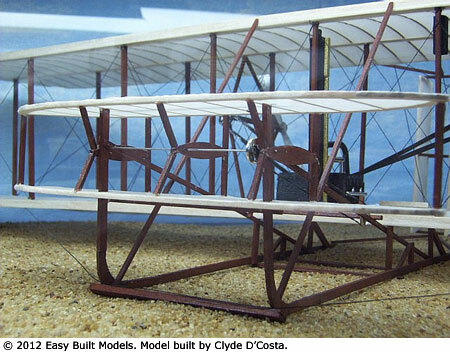 Construction photos, building notes, and history from Clyde D'Costa. 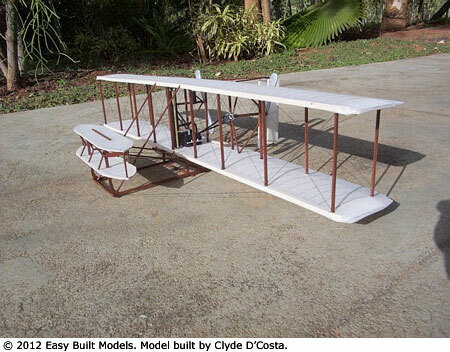 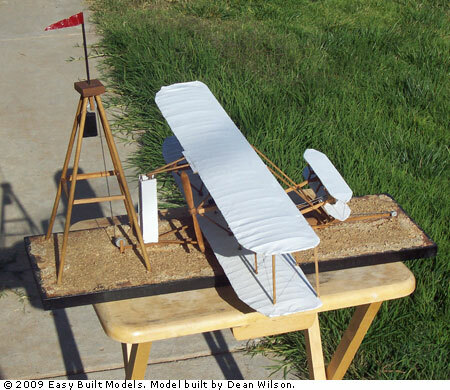 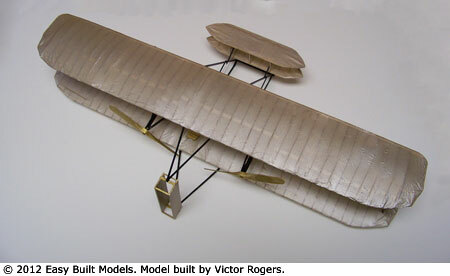 Click here for more photos and ideas for detailing your Wright Flyer I! 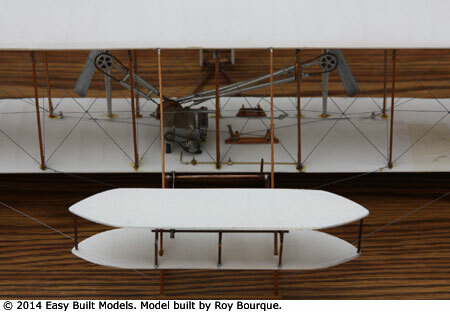 If you'd like to know more about the Wright Flyer and the invention of the airplane, visit these museums online or better yet, in person!